I am passionate lately about art, mostly contemporary installations, but I do not refuse a modern art exhibition in a famous museum if I am in that city. I even started to travel especially for events as I noticed that the trip becomes more interesting and the memories are more special. So I am looking to buy tickets for Paris, although are quite expensive, to check two exhibits, of which the first is a MUST DO. Gustav Klimt at the Atelier des Lumières, pictures of the immersive exhibition Gustav Klimt at the Atelier des Lumières is the beautiful and unique experience to live out from April 13 to November 11, 2018. In a huge 2000-sqm room, we wander around the Austrian painter’s most beautiful paintings (and yes, within the paintings) listening to Viennese waltz.The Atelier des Lumières uses a unique process, AMIEX®, enabling an immersive art and music experience thanks to “dematerializing” works and broadcasting on 140 video-projectors and a spatial audio (50 Nexo speakers with controlled directivity), for immersive exhibitions like Imagine Van Gogh at La Villette. This process, used in the Carrières de Lumières in Baux-de-Provence, takes us to another world. The success, already granted, bolstered the teams to set up in Paris after 5 exhibitions and 3 million visitors in 5 years. The first exhibition to experience in Paris, devoted to Gustav Klimt, is magnificent: over 3000 moving pictures with the most famous elements of the Austrian painter’s paintings for a 30-minute light and sound show. We cross over 100 years of Viennese painting through Gustav Klimt’s pictorial work (1862-1918) evolving around 6 “scenes” lasting 5 minutes each, where paintings are decomposed with the characters coming out of their frame, it’s hard to explain (you should watch the video!). First scene, the neoclassic Vienna reveals the architectural gems of Gustav Klimt’s city, including the Kunsthistoriches Museum and the Wiener Staatsoper. 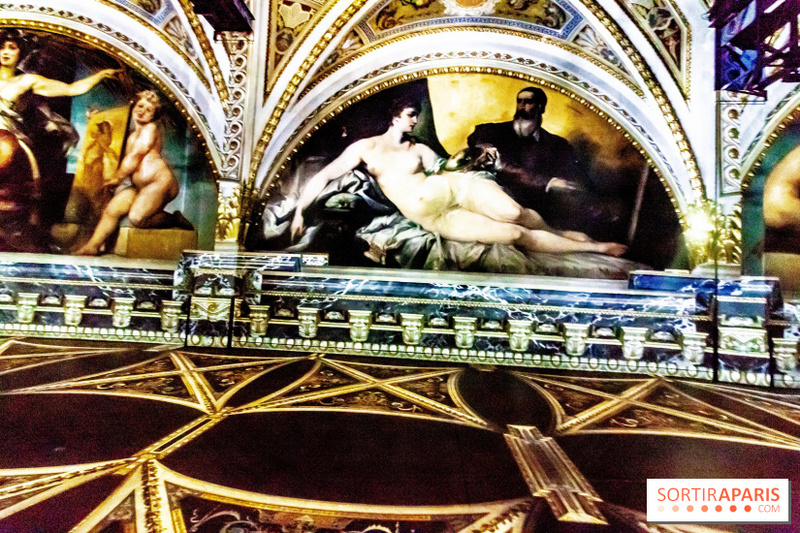 Ceiling, columns, frescoes, Klimt’s works on these beautiful projects, make you want to visit it, and even more because of the music, the opening of Wilhelm Richard Wagner’s Tannhäuser. 2. The second one is the exhibition devoted by the Centre Pompidou to the Russian avant-garde between 1918 and 1922 that focuses on the work of three of its iconic figures: Marc Chagall, El Lissitzky and Kasimir Malevich. 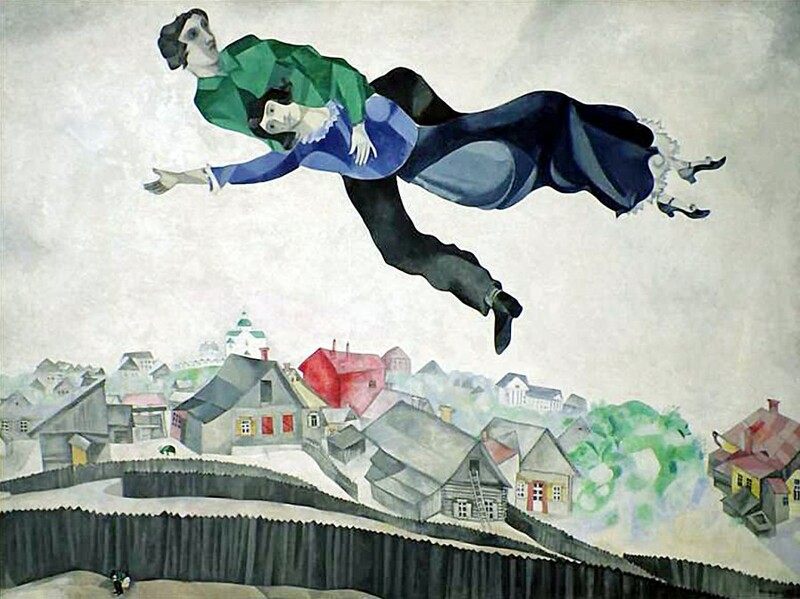 It also presents works by teachers and students of the Vitebsk art school founded in 1918 by Chagall: Vera Ermolayeva, Nicolai Suetin, Ilya Chachnik, Lazar Khidekel and David Yakerson. Through 250 works and documents never seen together before, this event sheds light for the first time on the post-revolutionary years during which the history of art was written in Vitebsk, a long way from Russia’s big cities.